A handkerchief is a great stocking filler or gift for the man who has everything. 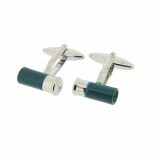 Our range of handkerchiefs and cuff links includes top brands such as Barbour and Lehner. We offer plain and patterned hankies as well as the famous Enormous Handkerchiefs. Our cuff links come in a wide range of country designs and are a great present for a keen shooter or lover of country sports.